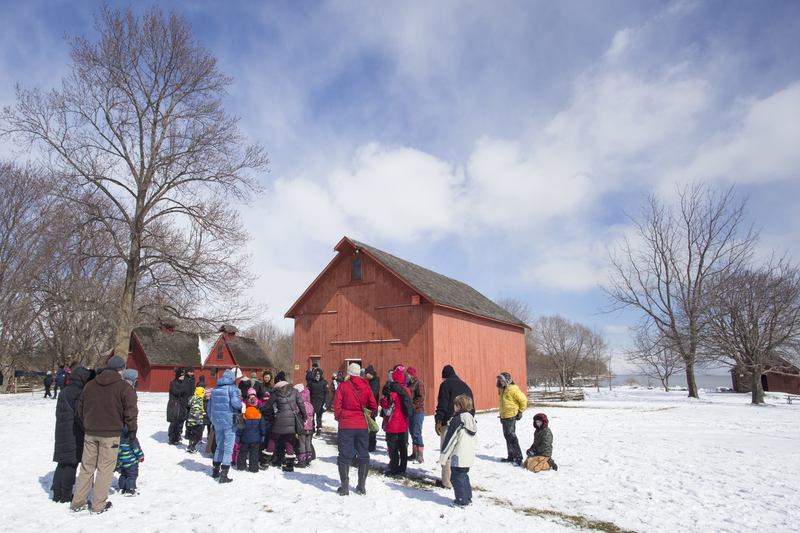 A family friendly maple event perfect for celebrating March Break. Tour the site with interpreters guiding you along the way. Learn the history of this sweet springtime treat as you help to make and taste maple sugar. Arrive early, dress warmly, and be sure to wear boots! Help carry the sap using pails and a wooden yoke. Try your hand at the brace and bit drill. See the trees tapped and the sap evaporating. $6/adult, $4/child (ages 3-16), $20 family maximum.